A long-time player in the beauty product game, I’m not easily swept off my feet. If I’m going to declare my devotion to a brand, I’ve got to know it has my back. Below, three solid reasons why I’ve fallen for Boscia, and why you will too. 1. Boscia is trustworthy. 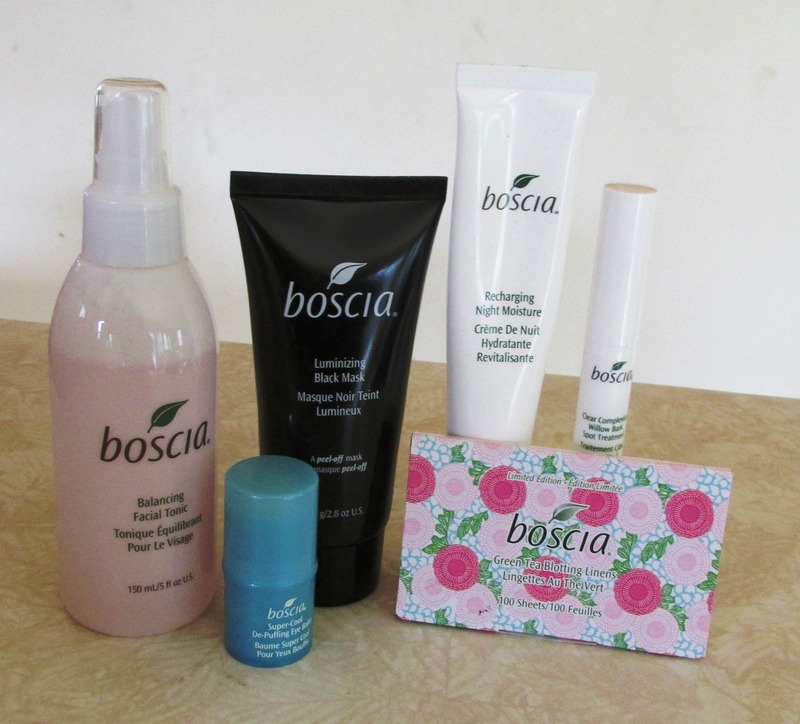 I have sampled many Boscia products, and none of them have done me wrong. They do what they say they will, and always leave me looking – and feeling – better. 2. Boscia is gentle. My skin can be very sensitive, but I can always rely on Boscia products to smooth my skin without harming it. The Clear Complexion Willow Bark Spot Treatment erases blemishes without irritation. Now that the weather is getting warmer, I find myself reaching for my Balancing Facial Tonic, a gentle toning mist that is delightfully refreshing on a hot, oily day. And after a recent product-testing snafu left my face parched and blistered, it was Boscia’s Recharging Night Moisture that soothed my skin and restored balance, all without the slightest itch or burn. 3. Boscia is a problem solver. Have a face full of clogged pores? Pull them out with the Luminizing Black Mask, which is basically a less painful and more effective version of the pore strip, for your entire face. Eyes puffy from too much sodium or too little sleep? Swipe on some Super-Cool De-Puffing Eye Balm, which will have you feeling alert and much less swollen in no time. (FYI, this balm has the greatest cooling effect – keep one with you for instant relief on a sweltering summer day.) And if, like me, your chin starts shining like the north star each day by noon, do yourself a favor and keep a pack of Blotting Linens in your purse. Problem solved. What’s your favorite Boscia product? This entry was posted in Beauty, Brand Crushes, Skin care and tagged Balancing Facial Tonic, Boscia, Boscia Blotting Linens, Clear Complexion Willow Bark Spot Treatment, Luminizing Black Mask, Recharging Night Moisture, Super Cool De-Puffing Eye Balm. Bookmark the permalink.